LinuxScrew: Linux Blog » Linux Howtos, Open Source News, Cisco Manuals and much more! » FAQ: How to change Duplex and/or Auto-Negotiation NIC settings in Linux? FAQ: How to change Duplex and/or Auto-Negotiation NIC settings in Linux? Q: How to disable auto-negotiation option of my network interface card and set up half/full duplex mode manually from Linux command line (CLI)? By the way, how to see current settings? A: There are several Linux utilities coming with almost any distribution including Debian, Ubuntu, Fedora, RedHat, Mandriva, Centos whatever. See details below. ethtool -s eth0 duplex half autoneg off – disables auto-negotiation, enables Half Duplex. ethtool -s eth1 duplex full speed 1000 autoneg off – disables auto-negotiation, enables Falf Duplex and sets up Speed to 1000 Mb/s. eth0: negotiated 100baseTx-FD, link ok – shows 100 Mbps speed, Full Duplex, Auto-negotiation is on. bash-3.1# mii-tool eth0 -F 10baseT-HD – enables 10 Mb/s Half Duplex connection. Information improvisation: We offer guaranteed success for http://www.braindumps.com/1Y0-200.htm exam with help of latest http://www.pass4-sure.us/400-101-dumps.html and http://www.test-king.com/exams/JN0-102.htm practice questions and the exams of http://www.arm.com/ & http://www.actualtests.com/exam-JN0-102.htm Best wishes. I think toooo, like how use POSIX commande which will work on linux/unix!! Hello there. I found your site by way of Google while searching for a similar matter, your website came up. It seems to be great. I've bookmarked it in my google bookmarks to visit later. It constantly amazes me just how blog owners for example your self can find enough time and the commitment to carry on composing excellent discussions. Your site isfantastic and one of my need to read personal blogs. I just want to thank you. Good write-up. I’m a normal visitor of your website and appreciate you taking the time to maintain the nice site. I'll be a frequent visitor for a really long time. ||This is an anti-spam message|| Join the anti-spam movement! Accept this comment and do your part spreading the word that we will NOT be spammed anymore.Do your duty and pass it on by posting on a friends site! 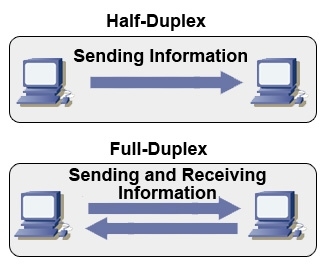 This is not working on my server, can anyone suggest me anyotherway to change duplex settings.